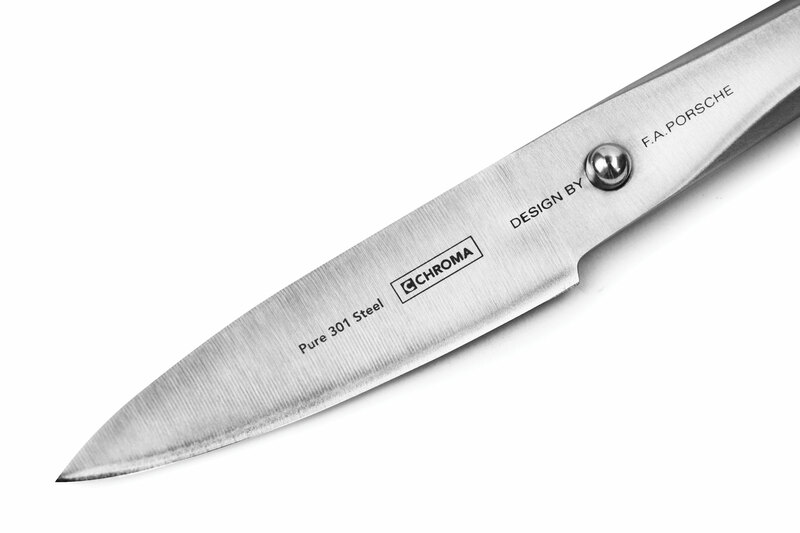 The Chroma Type 301 Hammered Paring Knife is perfect for small chopping tasks, peeling, and coring small vegetables and fruits. 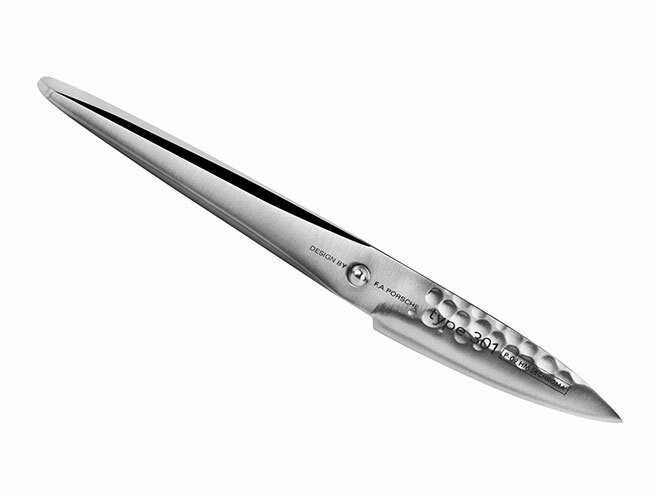 The blade features a hammered finish on one side, which prevents food from sticking to the blade. 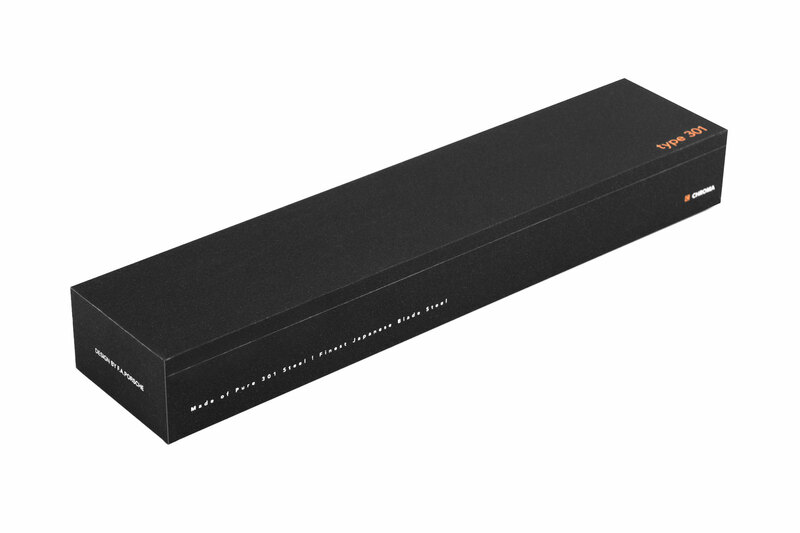 Chroma is famous in the world of professional chefs for their outstanding quality. 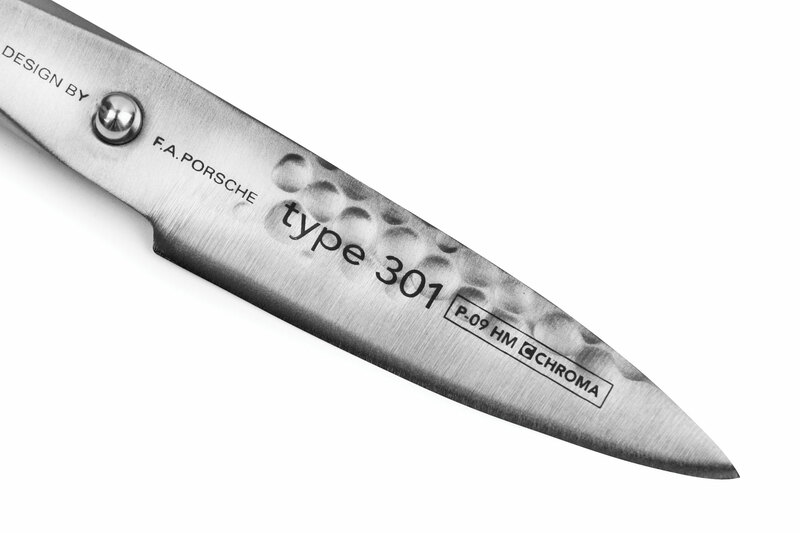 Each knife line was carefully manufactured by experienced craftsmen or factories, designed by the worlds best designers Conran, Porsche. Chroma guarantees any stainless steel product that it sells to be free from defect in material, construction or workmanship for the life of the product under normal use and following the care instructions. 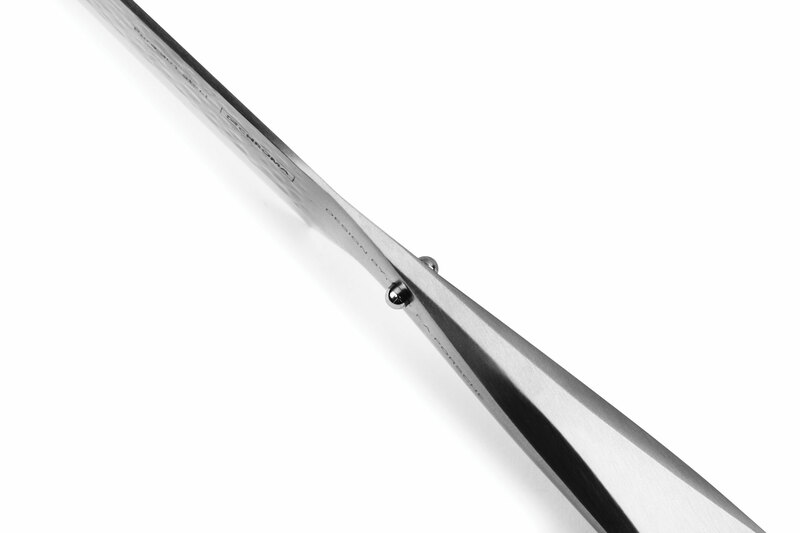 The handle of the Type 301 by F.A. 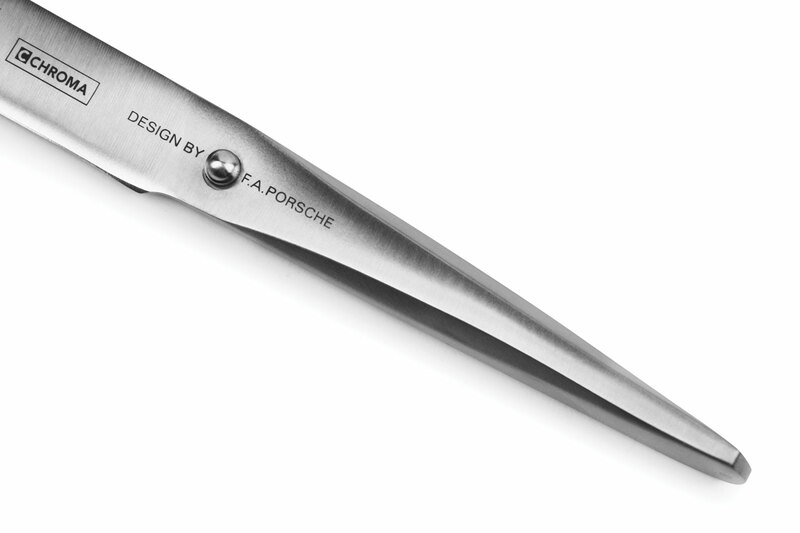 Porsche is constructed of 18/10 stainless steel, and the blade is made of high-quality Japanese 301 steel. The blade of each knife is carefully sharpened by the hand of a master. 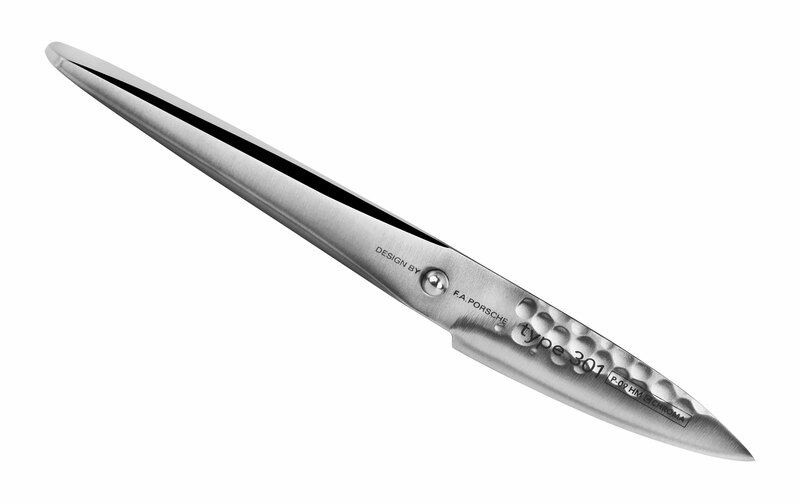 Chroma cutlery is extremely sharp and holds its edge for a very long time so you can spend more time enjoying your food and less time sharpening a dull knife.